ExpressVPN is getting into bed the Electronic Frontier Foundation (EFF) by not only endorsing their HTTPS Everywhere tool but actually incorporating it into their Chrome Extension. The Electronic Frontier Foundation, which VPNCompare.co.uk proudly supports, developed their HTTPS Everywhere initiative to help inform people of when the sites they were visiting were secure and ensure they always connect to the HTTPS version of a website where one is available. For those not familiar with the term, HTTPS is a secure encrypted protocol. When you visit a website which deploys HTTPS, your data is encrypted between your device and the site. If a site is using the old HTTP protocol, this encryption is not present which makes user data more vulnerable. More and more websites are switching over to the HTTPS protocol and earlier this year, Google announced plans to mark all websites which don’t use HTTPS as ‘not secure’ from later this year. But even when websites have upgraded to HTTPS, there can still be parts of their website which are not secured. If, for example, you click on a link to an older page which was created before the site upgraded, the chances are you will end up on an HTTP page. Now ExpressVPN has decided to preempt this move by ensuring that users of the Chrome extension will always be connected to the secure form of a website if one exists. They claim to be the first VPN provider to offer this service. 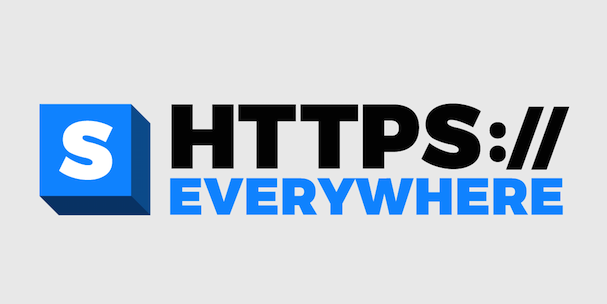 Some readers might be thinking that the HTTPS Everywhere tool is unnecessary if you are connected to a VPN. But ExpressVPN has confirmed that the feature will be operational even when users are not connected to one of their servers. It will be enabled by default and, while users will be able to toggle the function off if they so wish, ExpressVPN does not advise this. According to ExpressVPN, by incorporating HTTPS Everywhere into their Chrome Extension they are making it simpler for users to stay safe online. They argue that while most people are concerned about online safety, many find protecting themselves to be complicated and confusing. But by packaging these two tools up in one simple extension, they are making things much easier and more straightforward. “Together, HTTPS Everywhere and ExpressVPN provide users with greater confidence that their internet activity and personal data are encrypted and protected,” said the Vice President of ExpressVPN, Harold Li. It is great to see one of the biggest and most popular VPNs incorporating a tool as useful and forward thinking as HTTPS into their software. The drive to push more websites into using HTTPS continues and with ExpressVPN adding their voice to the calls, the momentum of change can only be set to continue. It is well-worth having HTTPS Everywhere installed on your system and if you use a VPN other than ExpressVPN, we would strongly advise you to visit the EFF website using this link and download their tool separately onto all your devices. HTTPS Everywhere ensures that your online activity is encrypted as much as possible, regardless of whether your VPN is connected. But it is also advisable to use a VPN as much as possible too. The encryption used by top VPN providers such as ExpressVPN and IPVanish is much stronger than that offered by the HTTPS protocol. And they will also ensure that your online activity is encrypted even if the websites you are visiting do not use HTTPS. But together a VPN and HTTPS Everywhere make a great combination and we would strongly advise all readers to make sure their online activity is protected by both.